ORA has worked with several of Scotland’s leading food producers and established a solid reputation in designing Food Production Facilities . 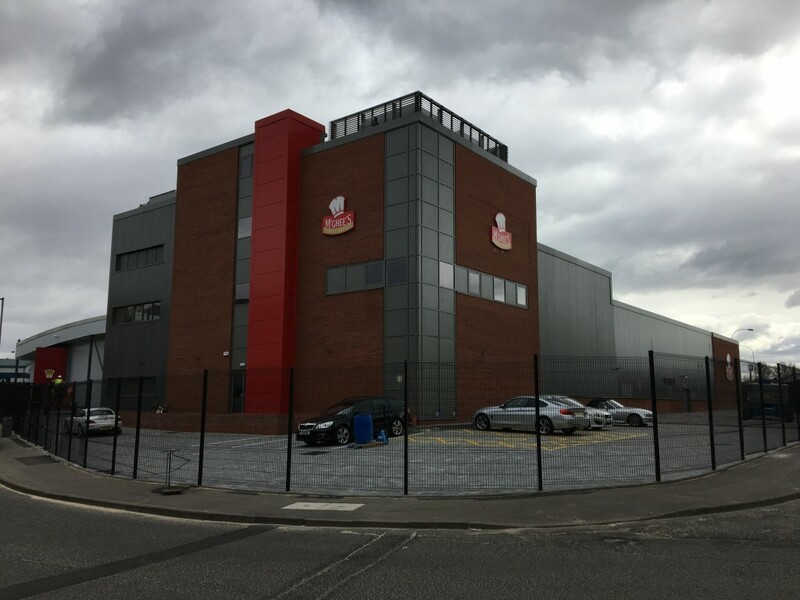 Our latest project was completed at the end of 2017 for D McGhee + Sons Ltd in Glasgow. They commissioned ORA to develop design proposals for a 1900sqm extension to their existing facility at Keppochill Drive so that they could continue to provide their current clients but also look to the future with aspirations of introducing new lines. The existing factory was constructed in 2004 and was purpose built for McGhees. Since then the three brothers have continued to expand their business and identified a need to consolidate administration facilities as well as create more floor space for new production lines. The brothers also aspired to make a statement with the building so that there was no doubt to those passing by that this was the McGhee Bakery. To this end the offices form a definitive block on the corner of the site announcing the presence of the bakery with the new production area nestling in behind following the line of the main road. Clad with a simple palette of materials that takes inspiration from the locality the building sits comfortably within its surroundings. As with many food production facilities it is imperative that the existing operations have minimal disruption and output is retained. In order to achieve this the design, and more critically the construction, had to take in to account the day to day operations of the bakery to ensure that both contractor and baker were closely co-ordinated. The extension is in full production with the fit out to the offices commencing soon.